October, the month when the spirits of the dead are abroad revisiting their former haunts marks the birth of the Association of Graveyard Rabbits. October 1, 2008, The Association of Graveyard Rabbits made its first appearance on the internet. One year ago today the first online invitation to join this Association was posted. 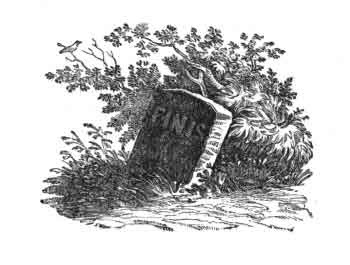 The Association Of Graveyard Rabbits – dedicated to the academic promotion of the historical importance of cemeteries, grave markers, and the family history to be learned from a study of burial customs, burying grounds, and tombstones; and the social promotion of the study of cemeteries, the preservation of cemeteries, and the transcription of genealogical/historical information written in cemeteries. It is most appropriate that the month of All Hallows Eve is the birth month of our Association. October, the month when the spirits of the dead revisit their former haunts and the month when the Association whose haunts are the final homes of those dead came to life. Our greatest resource is our members and the work they do in their communities and on their blogs. A very special thank you to Julie Tarr, Diane Wright, Sheri Fenley, Henk van Kampen and all the Graveyard Rabbit Online column authors; Denise Olson, Tech T.I.P. ; Stephanie Lincecum, Graveyard Guru; Julie Tarr, Photo Monument; Randy Seaver, Digging for Answers; footnoteMaven, The History Hare; Sheri Fenley, The Educated Rabbit; Various Authors of The International Rabbit and A Rabbit's Tale; for their tireless work in furtherance of the Association. And thank you to the members who never cease to amaze with contributions to their communities and this Association. Well done! Join us in this celebration as we look forward to the next year in the history of The Association of Graveyard Rabbits. The best is yet to come. The work you are all doing - and the way you have pulled it all together - has created a wonderful gift for the genealogical community. The Association is fast becoming one of our most important centres of research. I voted for the Association at the Family Tree Best 40 Genealogy Blogs and I hope you receive the recognition your deserve. Congratulations on a great year! I came late to the geneablogging family, so wasn't in the loop when The Graveyard Rabbit got its beginnings. I have since reserved a few blog-names with all the intentions of setting up a blog or two dedicated to at least two Texas cemeteries, but have not yet done the legwork necessary to get these off the ground. Gotta get busy on that! The best year is yet to come. I have enjoyed being a Rabbit and just love every Rabbit I have met!! Happy anniversary, Graveyard Rabbit! I'm honored to be a charter member of the group, and look forward to what the coming year will bring! How Did They Die? Let's Count The Ways!